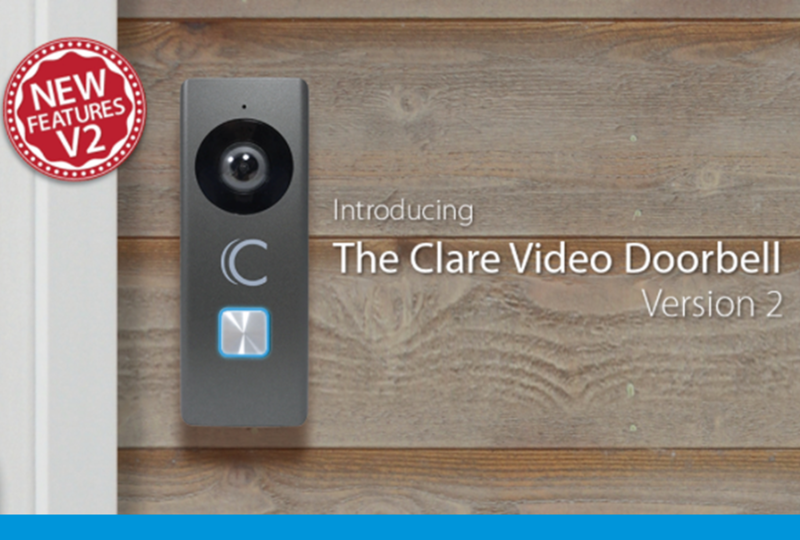 Keep your family and home secure with the Clare Video Doorbell - Version 2. Whether you're on vacation, or visiting your parents for the Holidays, the Clare Video Doorbell will let you know if the Grinch is trying to spoil your Christmas. In addition to the Clare Video Doorbell - Version 2, we've released a huge update to all Clare Video Doorbells, and updating yours couldn't be simpler! Be sure to read more!